Hamilton May is pleased to present a two bedroom apartment for rent and a big terrace with access from every room. 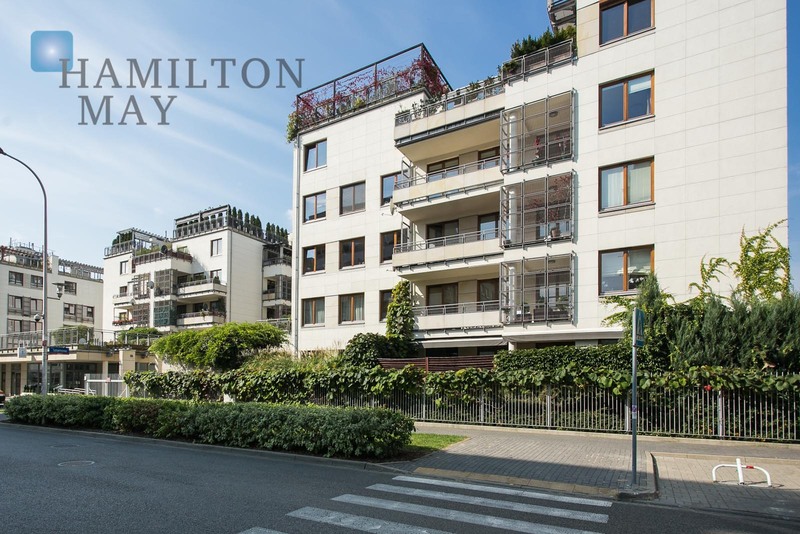 Hamilton May presents a new, one bedroom apartment in the Rezydencja Naruszewicza development, by the Wierzbno metro station. The Monnet International School (MIS) located in Warsaw, is the first school in Poland to offer the International Baccalaureate Organization qualifications across the range of ages, namely preschool, primary, middle and secondary school. The school is located on ul. Abramowskiego in the Mokotow district. In the vicinity of Mokotow is it possible to source both family houses (approx 150m2 to 400m2) or larger apartments (approx 90m2 to 250m2) which fulfil needs usually ranging from 2 to 4 bedrooms. Generally parking facilities are available and are normally a requirement for the families of the Monnet International School. At Hamilton May, we receive regular enquiries for houses and larger family apartments located in the vicinity of the Monnet International School from parents who would like to keep the school run manageable. Typically we assist ex-pat families who are relocating to Warsaw and require additional help and an English speaking service although of course, being in Poland, we also assist many Polish families with their search. Popular developments which service the Monnet International School (MIS) include Marina Mokotow, Woronicza Park and Eko Park. For your convenience, Hamilton May has provided a selection of properties that have been pre-selected as both suitable and nearby to the Monnet International School and we encourage you to contact us for more information on properties of interest.